I am a HUGE fan of a good sensory bin. To be honest though, sometimes I just don't have it in me to pull out the rice or beans. It is always fun but it can be such a mess! I created this cotton ball sensory bin to still give my kids the experience, but there is very little mess. You can download the printable here or by clicking the image below! It includes capital and lowercase letters and numbers 1-20. *Be sure to print in landscape format! 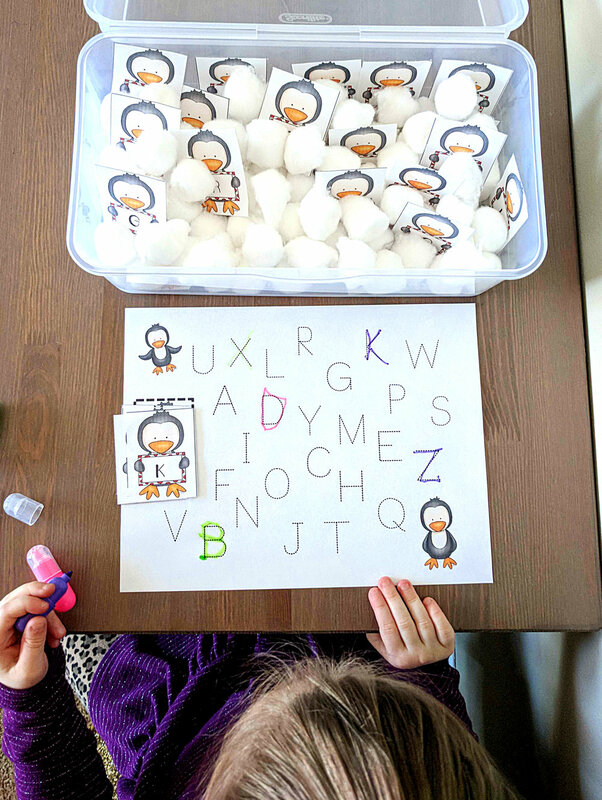 Using one set at a time, hide each penguin in the cotton ball sensory bin. 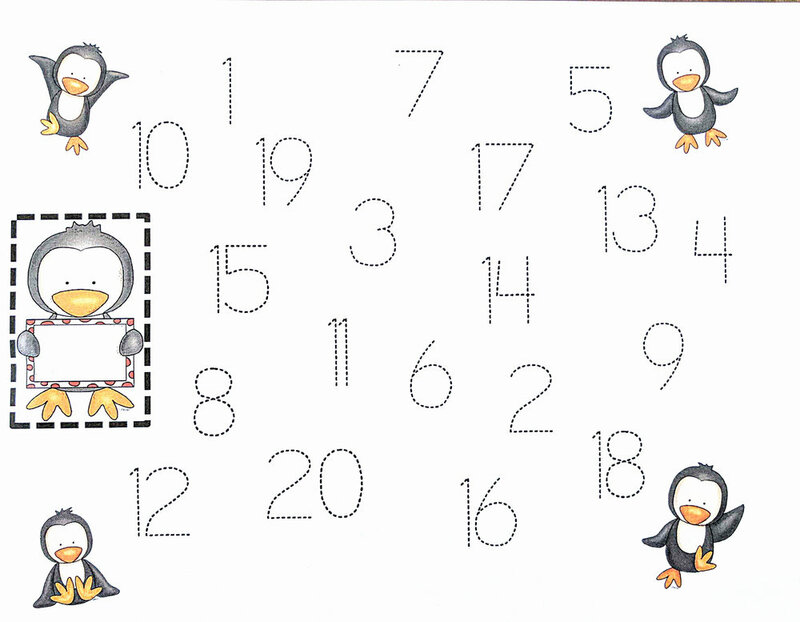 Have your child or student dig through, grabbing one penguin at a time and place it on the corresponding worksheet. Finally, they will search for the letter or number they just found and trace it! She is working on her capital letters above, but here is what the lowercase and number sheets look like! 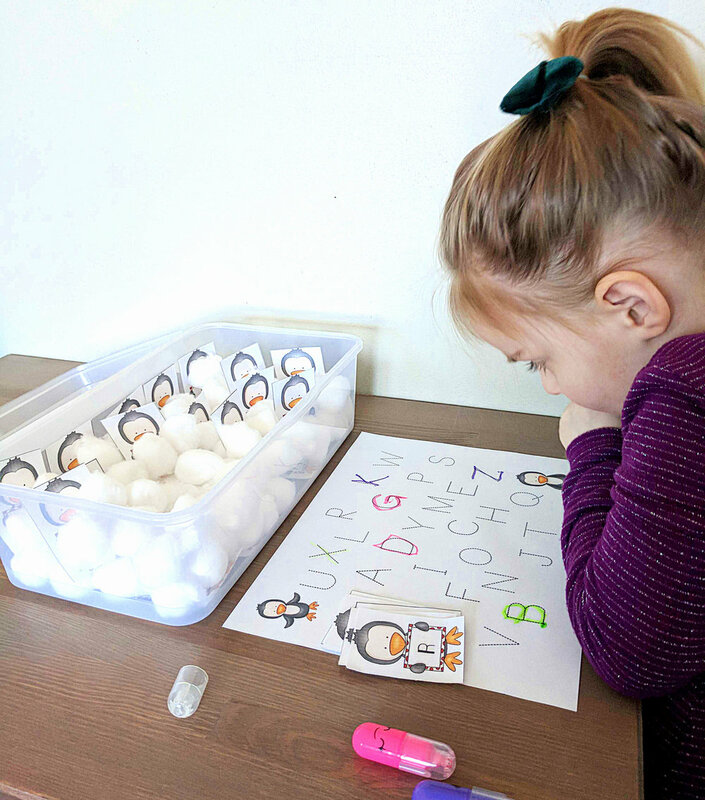 Fun and easy way to work on those early learning skills!